Sometimes I get so excited about starting a project that I just dive in and start cutting fabric without thinking about the details. Details schmetails, I wanna get sewing as soon as possible! I’ll give you a good example. 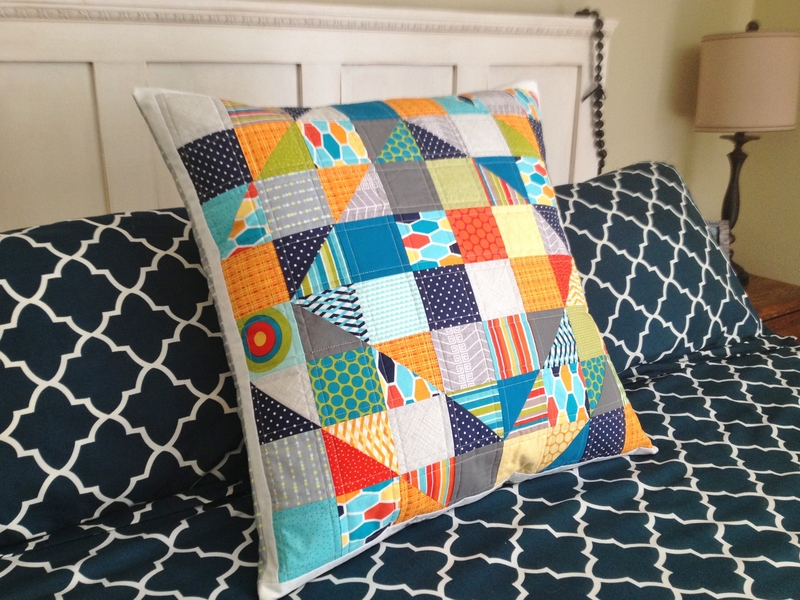 This past weekend Freckled Whimsy posted photos of her adorable pillow she made with the pattern she’s using for her Diamond in the Rough quilt-along. I just loved her color selection, especially the oranges and aquas (which I’ve been digging on lately). 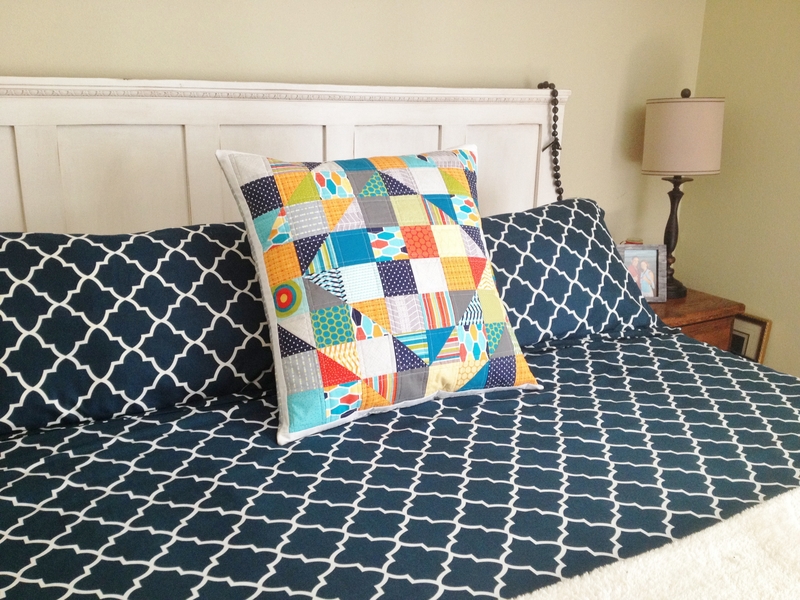 I already cut my fabric for a giant lap sized quilt in a different color scheme, but loved her pillow so much decided to make a pillow as well in a similar color way to hers. My favorite part of this project was picking fabric. 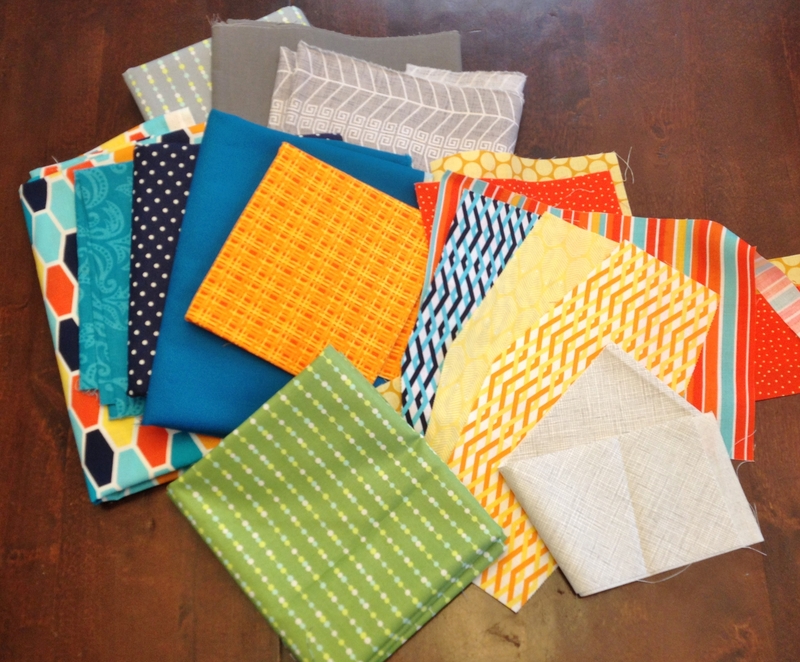 I often feel most comfortable using fabric collections, designed and bundled together to take the guess work out of picking fabrics that match well. Sometimes I’ll throw in a couple of my own fabric choices to add to the bundle, but it’s often an obvious choice and not out of my comfort zone. For this project I decided to use fabrics I already had in my stash, and a lot of scraps. I wanted at least 12 different fabrics. It helped my confidence by trying to mimic Karrie’s color choices, but since I had none of the same fabrics in my stash I was forced to be more creative and make some minor changes. This little exercise made me excited to choose my own fabrics more often. 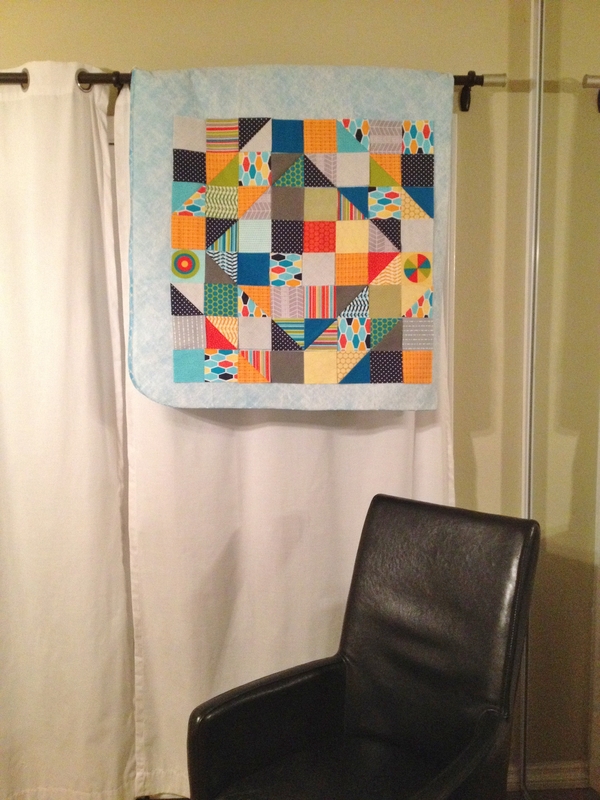 After cutting blocks I decided to jump ahead of the quilt-a-long and make my pillow that weekend. I had a Euro-sized pillow I decided to use. 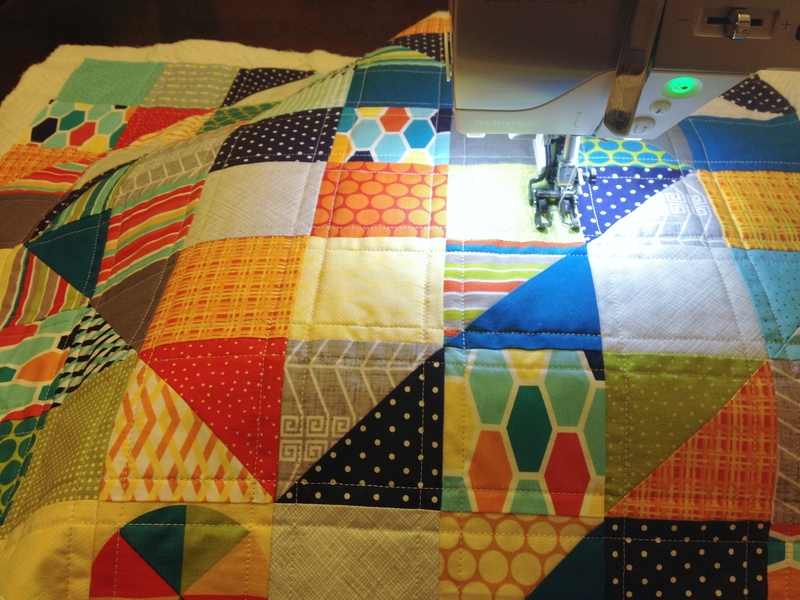 I knew it was bigger than her pattern, so added another border of blocks all the way around to increase the pillow size to 24″. Mistake #1 – I didn’t even measure my pillow. I had measured it a few months ago planning to make a basic pillow cover, but got busy doing something else and never got around to the pillow. It was 24″, right? Whatever, there is fabric calling my name! 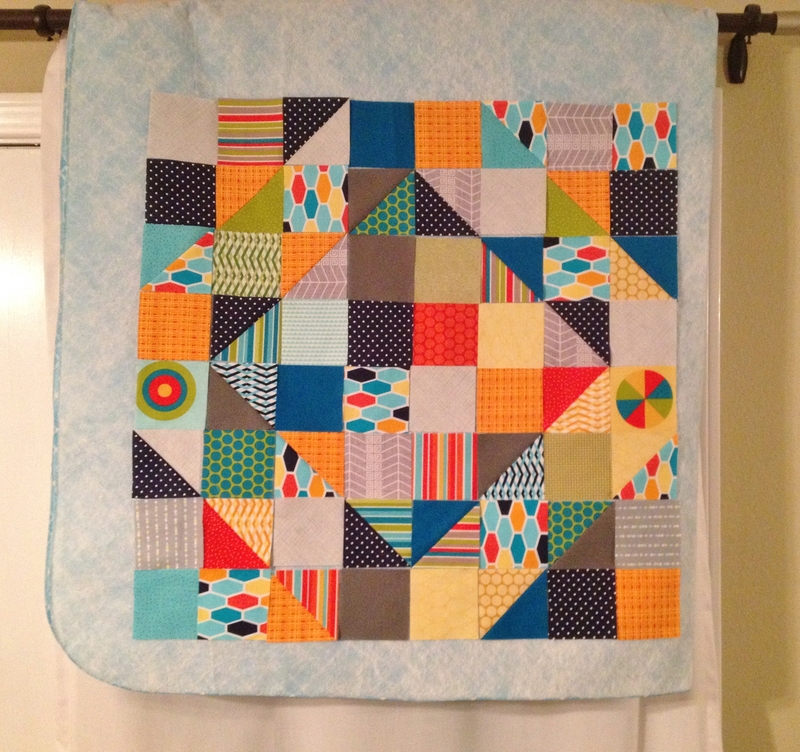 I quickly pieced together my half square triangle and played around with the pattern. This was also very fun for me. Here are my blocks on my “design wall”. Side note: I don’t have a designated sewing room and with 4 kids, square footage is hard to come by. My “design wall” consists of a plastic table cloth with fuzzy backing from the dollar store. I often hang it over the curtain rod in my bedroom. This picture shows it folded in half, so I can make it larger if I wanted to. 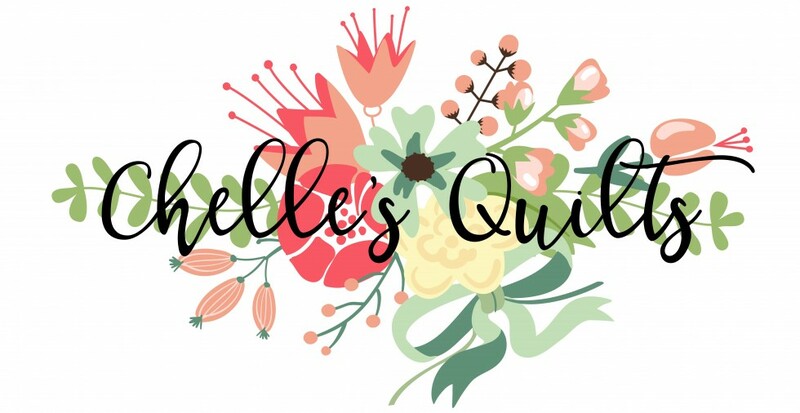 It’s not large enough to design a twin size quilt, but I can easily plan sections at a time. I eventually lay larger quilts out on a floor somewhere and stand on a chair to take a photo. I really love this portable method though. I have my eye out for a larger table cloth, or two I can hang side by side on a larger window. Here’s a picture from further back so you get an idea of how small this one is. Mistake #2 – I did not follow my pattern carefully. Oops, I left out the center diamond. I hadn’t even noticed until it was pieced and quilted. I won’t lie and say this was a decision made on purpose, but in this case I still liked the way it turned out. If this was a more intricate pattern I’d be in trouble. Of course sometimes its ok to stray from a pattern to make it your own. A project this small, piecing and quilting went by very quickly. I had the entire top done before I went to bed and decided to finish it the next morning. Remember that sizing mistake I told you about? This one I didn’t realize until I laid my quilted top across the pillow. Wait a minute. This doesn’t look right. Palm to the forehead! Thankfully I hadn’t trimmed the batting yet. 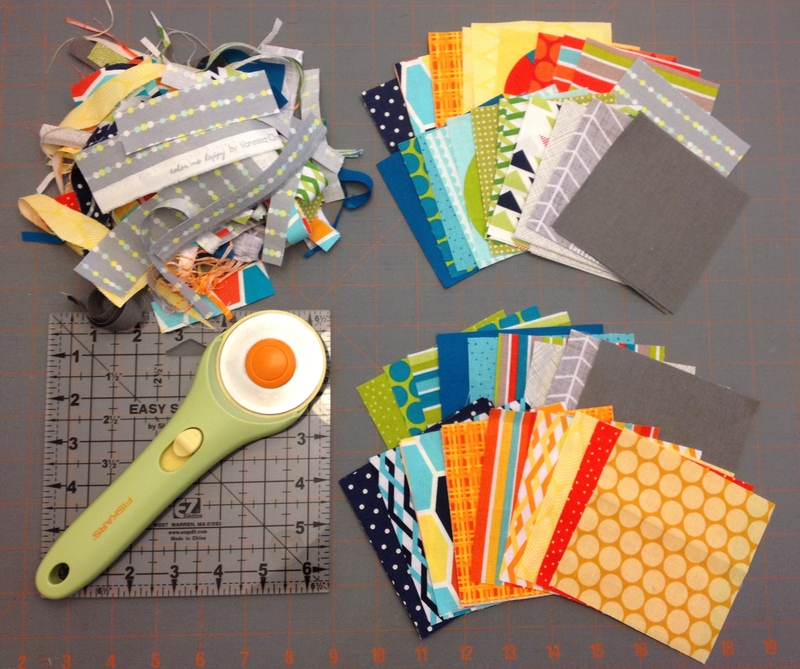 I was able to cut 1 1/2″ white strips for all four sides and use a quilt-as-you-go method to attach a border. Sometimes I’m grateful for my mistakes. I’m forced to trouble shoot to find a solution, which stretches my abilities and I learn from it. Sort of like making lemonade out of lemons. Or something like that. Who cares, I have another project to get to…. I just love how it turned out, and you’re right–mistakes help us learn. And, the outcome is so great no one need know but you! !